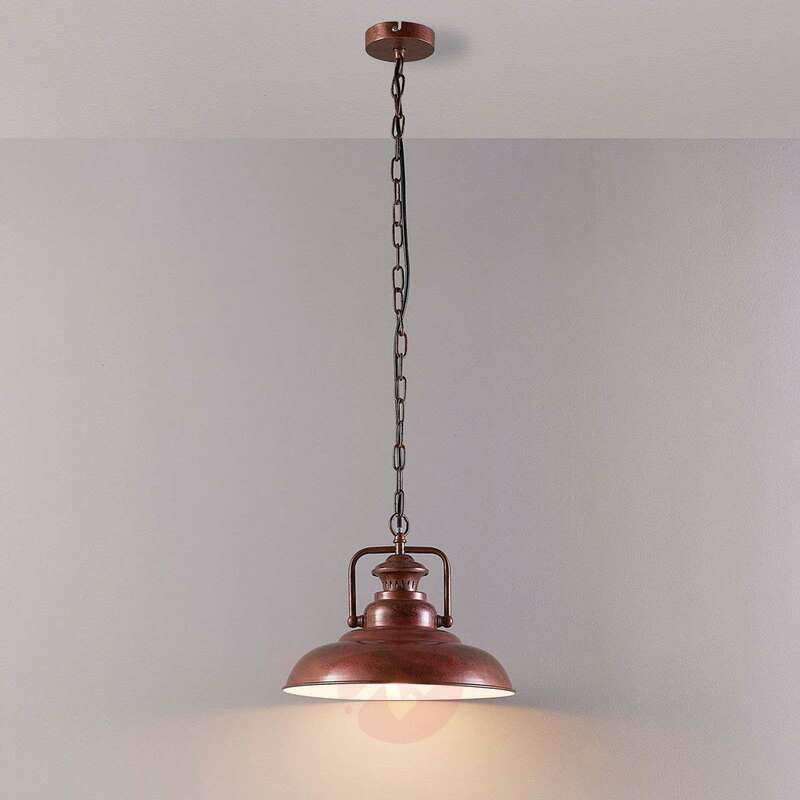 This pendant light is delivered with a rustic-looking chain suspension, and the lampshade made from painted metal can hardly deny its rustic character either. 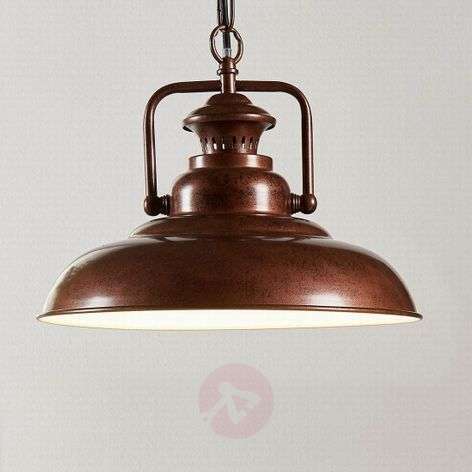 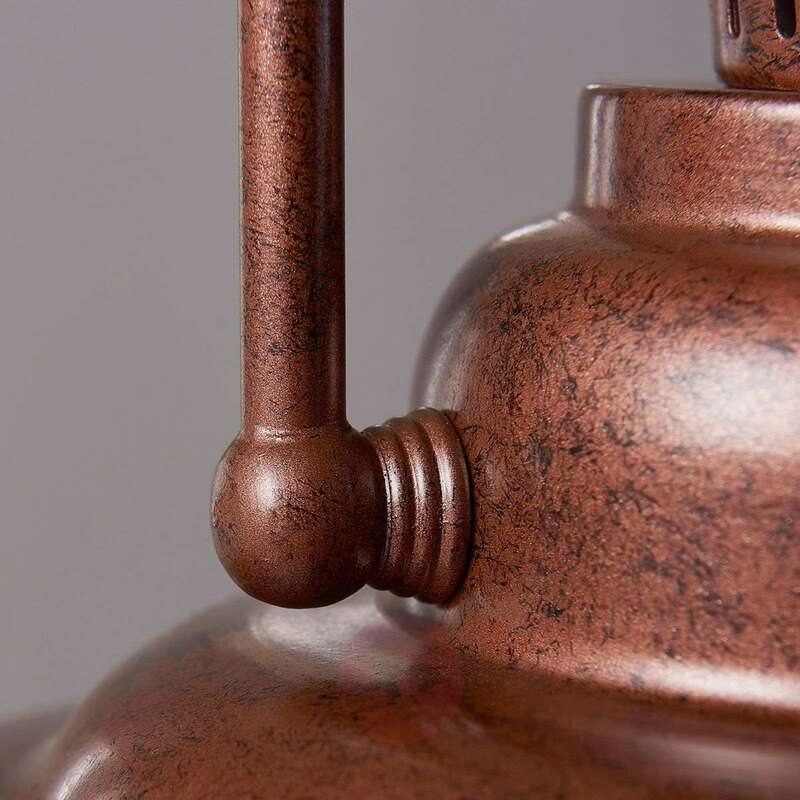 It has an antique brown colour which goes very well with a country house interior. 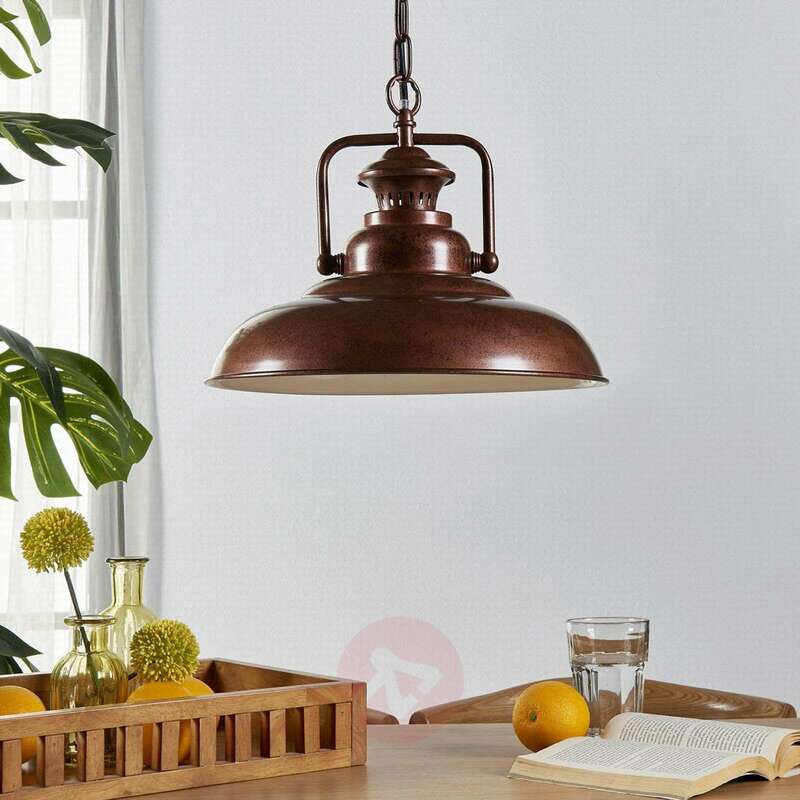 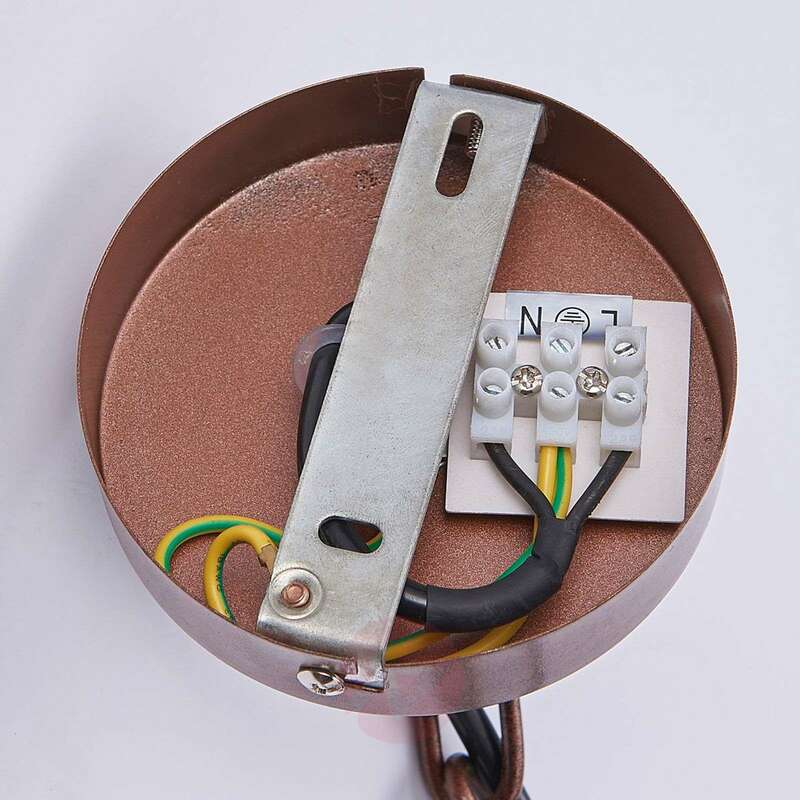 When you look at the pendant light Nico, however, it also reminds you of the industrial style which has conquered living spaces for some years and provides special statements there. 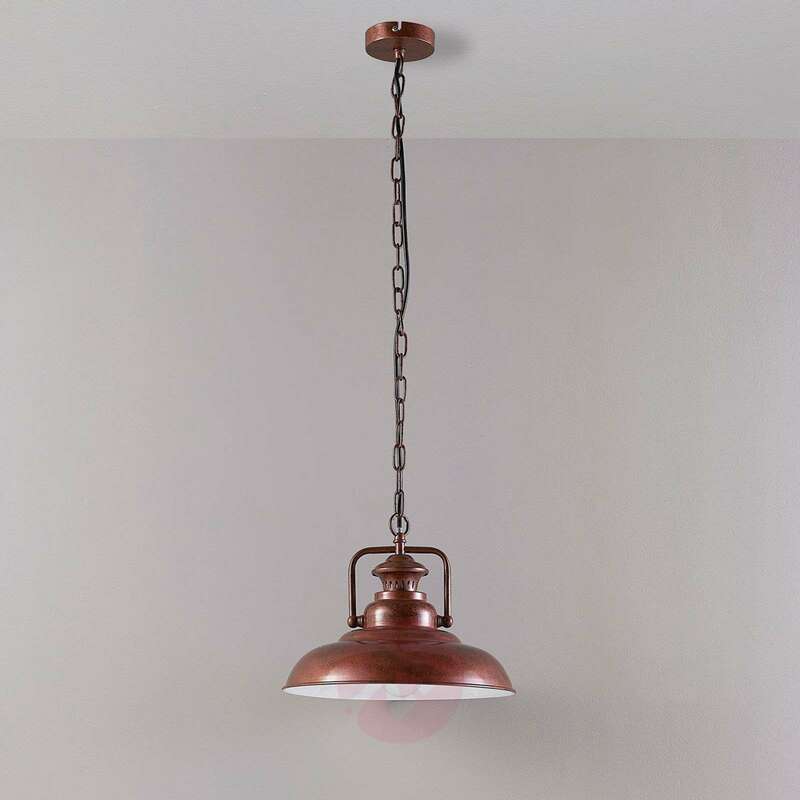 This is, of course, highly recommended if you live in a converted factory loft, but that is certainly not the only setting in which an industrial interior design style looks really good! 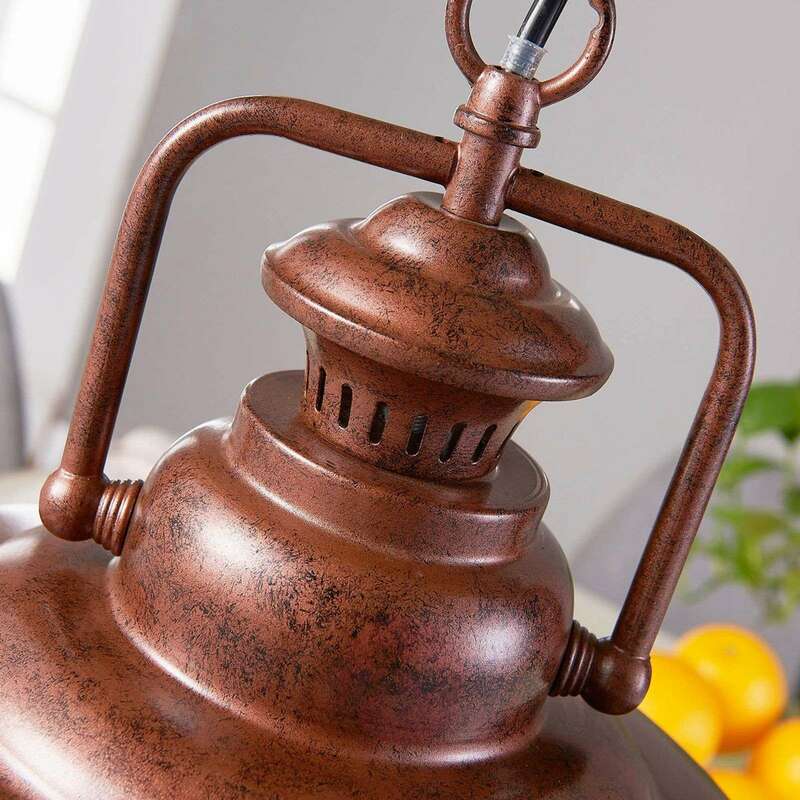 Metal lampshades have the property of really only allowing light through where there is no metal. 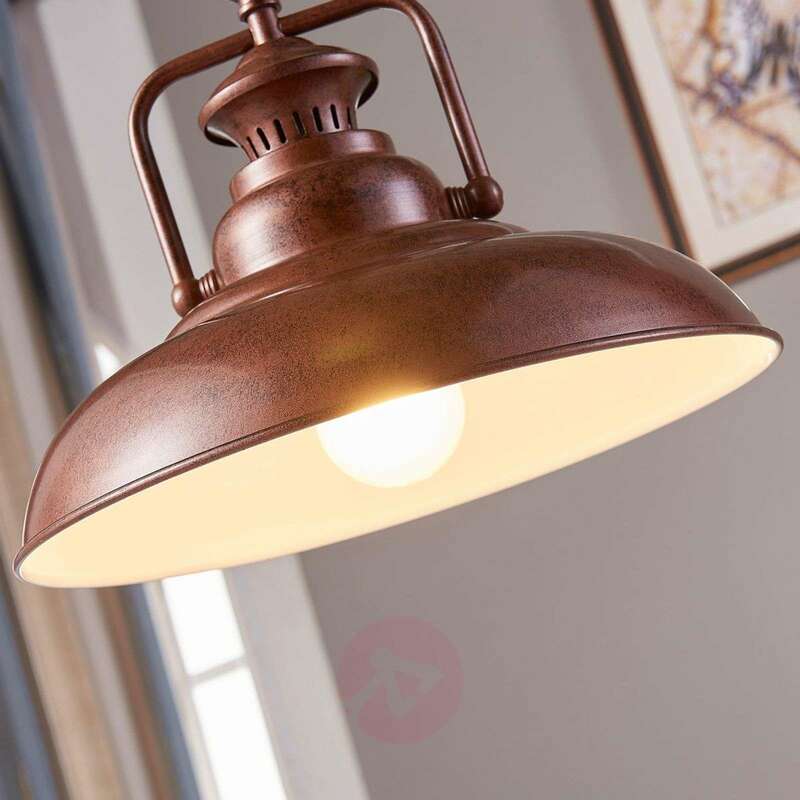 In the case of open lampshades, this generally means that the light is only emitted downwards and the area below it receives the most light. 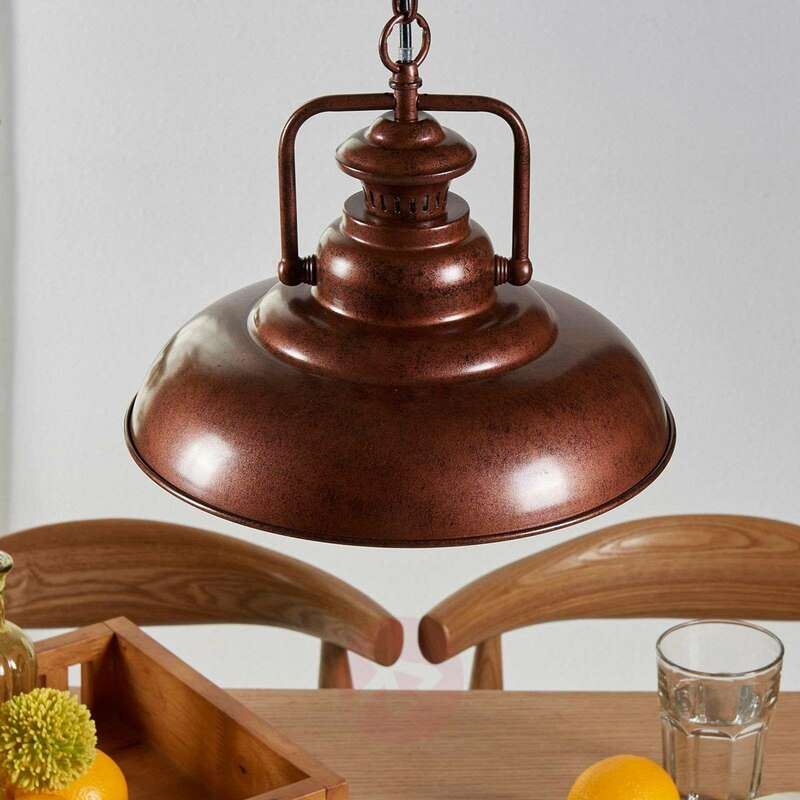 Ideally, a pendant light such as Nico can, therefore, be used for the illumination of a table which can then be lit up stylishly and effectively, without having to do without a cosy atmosphere.